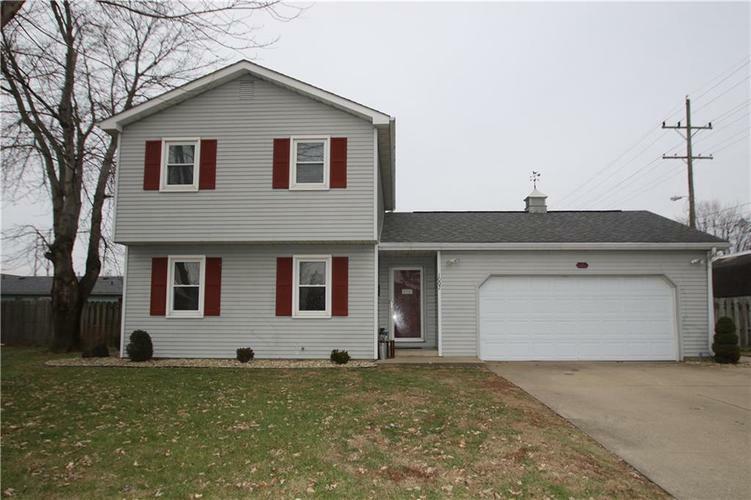 NEWER Two-story home with 3 BEDROOMS/1.5 BATHS, and 1660+-SF of living area. Formal living room and large family room are both located on the main level of the house. Master bedroom has direct access to the full bath, and also boasts a big walk-in closet! Nice eat-in kitchen with a walk-in pantry. NEW ROOF shingles in 2013+-; NEW FURNACE/CENTRAL AIR in 2016+-. FENCED back yard features an inground pool, bath house, and separate grassy play area. Two-story storage barn is also included, and is placed on the southside of the lot, along the border on outside of the privacy fence....Affordable utility bills too! "A TOTAL ELECTRIC HOME".....EXCELLENT Northside location for I-65 Commuters. Redding Elementary School District. Directions:I-65 South to EXIT 50B. Travel West until you reach S. Chestnut Street. Turn Right at light, left on West 6th St., Right on N Elm Street, property on the Right at 1002 N Elm St. Listing provided courtesy of Tanye Pedigo Langley Real Esta.